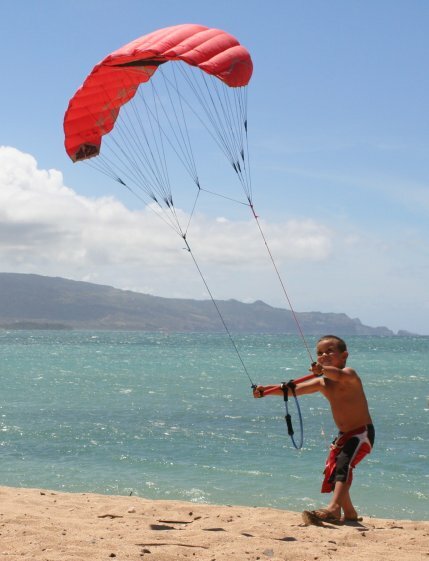 The kids program is designed to be fun and teach the kids the basic kite flying skills. sharing these skills with young kids helps prepare them of wind powered sports as they grow, and master the necessary skills. Kids are special, and they are fast learners. We have lots of experience teaching kite flying to young children. 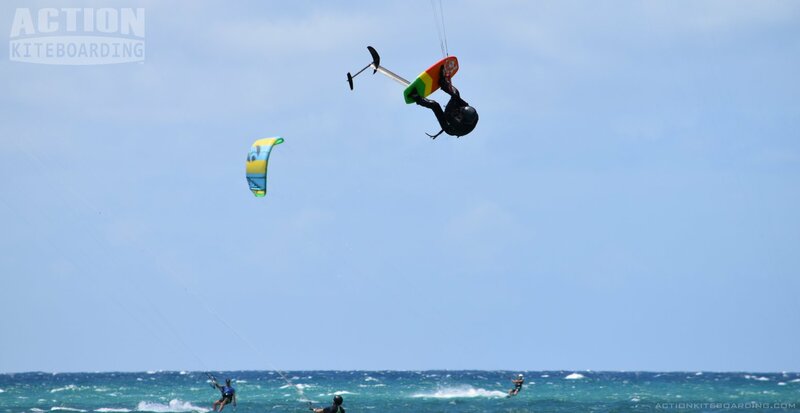 Our instructors have specialty training to prepare them for our kids program, Our “Teaching Kiteboarding to Kids” Course is recognized by the IKO (International Kiteboarding Organization), and is now taught is selected schools by specially trained Kiteboarding instructors. We have specialty clinics, and activities, and mixed family sessions. Kids lessons are shorter than adult lessons, usually lasting between one and two hours. Siblings, friends and families can learn together as a fun group activity. LESSON THREE: Board Skills. Kids will learn how to launch with the board, and how to recover the board in deep water. Kids will learn board handling skills, and the Theory of the waterstart. The waterstart itself is a necessary step to riding. It a compound skill which combines the board skills with the kite-flying skills. 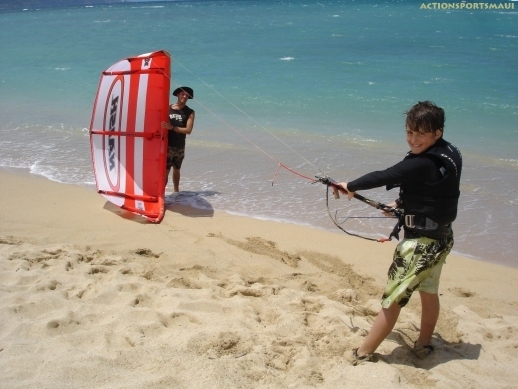 As kids gain experience using the board and kite together kids will begin to pop up on the board and start to ride a short distance. (strong swimmers only). 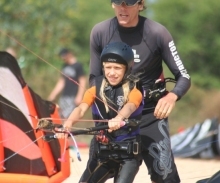 The Teaching Kiteboarding to Kids Program developed by our team has now been adopted by the IKO International Kiteboarding Organization for use by kiteboarding instructors worldwide. 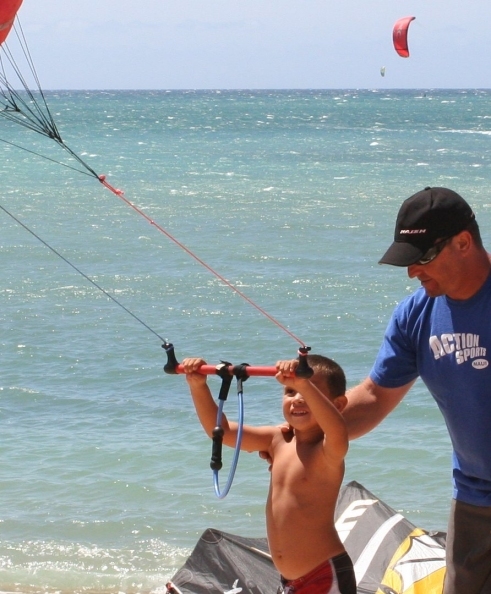 There is now a specialty training program for kiteboarding instructors to study in order to become qualified to teach kids. Our instructors teaching the kids programs have completed the specialty training course. Kiteboard Specialty training courses are part of our commitment to ongoing instructor training, and commitment to quality instruction.